化石講場-Fossils Board 亞洲首個古生物/恐龍/化石的華語討論區 - [恐龍新聞 Dinosaur News] - 古生物學家發現1.61億年前的彩虹恐龍 - powered by Discuz! It is possible to reconstruct coloration after analyzing melanosome structure in the feather. By comparing melanosome in those non-avian dinosaur feather to modern birds melonsomes, it is possible to find out the coloration of the dinosaur feather as melanosomes for each color has distinguish shape. 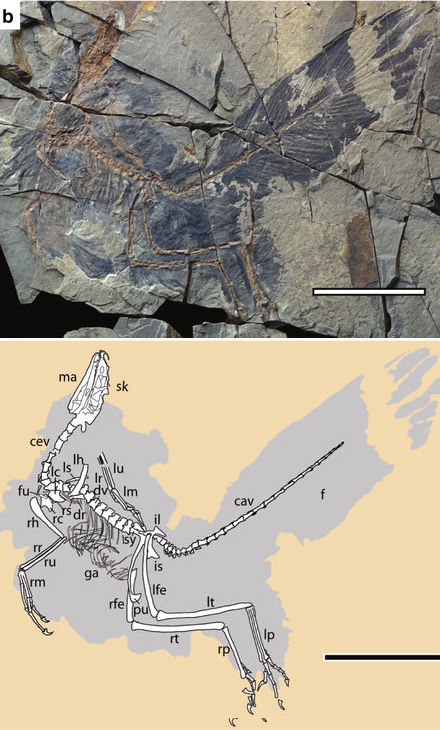 For example, melanosome in this dinosaur feather has similar structure to modern humming bird feather melanosome. 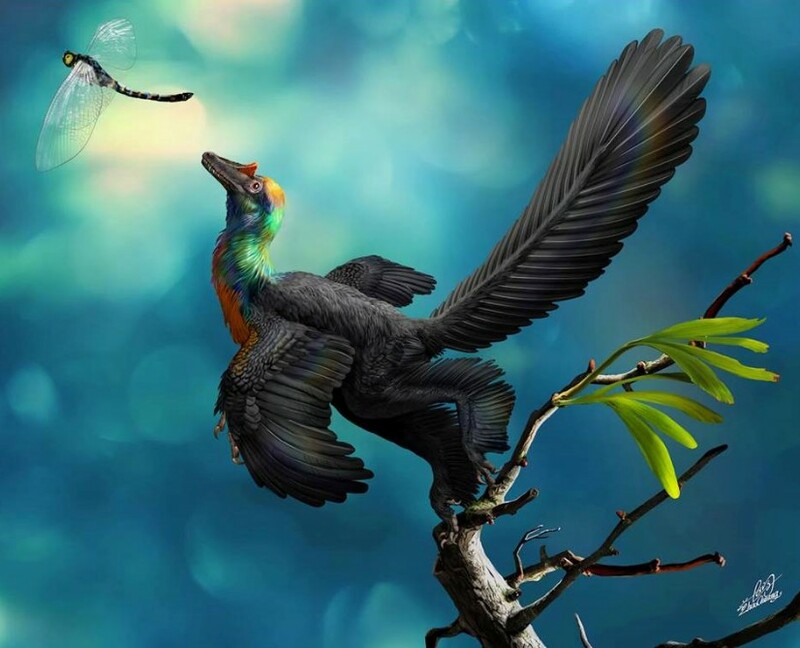 As a result, it is likely that the dinosaur had iridescent coloration as the humming bird does, given that the melanosome conserve that similar structure give out similar coloration. 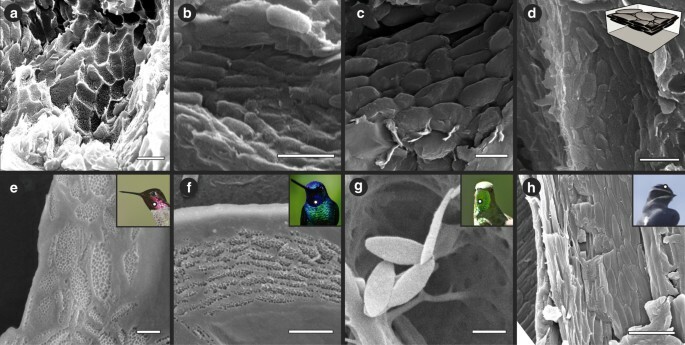 The paper had already displayed the scanning electron microscopic image of the dinosaur feather and compared those SEM imagine of the fossilized melanosome to modern avian dinosaurs such as humming bird.